Erol Alkan keeps kids dancing. A slogan so effective it emblazoned thousands of t-shirts, it remains as true now as when the London-based selector first began to sneak out of his family home to seek out DJ spots around the capital. A noted DJ, producer, collaborator, and label owner, Erol Alkan remains one of UK club culture's defining figures, strikingly original and wholly influential. Recently dropping new 12 inch 'Spectrum' b/w 'Silver Echoes', the producer shared his first new solo material in almost five years. It's a curious thing: despite his endless DJ sets, an album with Beyond The Wizard's Sleeve, and some of his most high profile production jobs to date Erol Alkan has - to a certain degree - allowed his solo duties to slip out of view. Ha! Interesting you say that. I suppose the only return is in releasing original material, obviously, which people equate with you being there or not. But in the background I’ve been working on a lot of records in that time. I’ve made quite a few albums, whether that’s side projects or with other bands. I mean, for me I’ve just been constantly creative in that time. For me, it’s really important that if I’m putting music out under my own name that I’m contributing something of worth, rather than adding to the pile of fodder which it seems is out there, especially in electronic music. I just felt that I was working on something that was very true to myself, and it felt like the right time to do it. I don’t feel the pressure to need to release music all the time. I do it when I have that impulse. But I’m always making music. It’s always being made. There are just countless tracks at the moment that I could release over the next foreseeable future, but I’m going to make sure it’s worth it. Obviously I’m a consumer of music as well, so I’m always looking for records to play in my DJ set. I think one of the reasons that I decided to play much longer, all night long sets is really down to the fact that you can go deeper and wider musically. If you play 90 minutes it sometimes feels as though those 90 minutes should be up front records that other people don’t have – there’s an air of exclusivity about it, and a contemporary angle to it. I mean, there are obviously loads of great records being released but you have to look harder now. I never mean to put down other people’s music, it just that the more you do something and the more refined your tastes become you feel like you spend longer searching. But I’m always finding them – still! - I’m always finding records that I love… I’m never short of it. But again, it tracks back to what I said earlier – when you put something out it has to be valid. And it’s valid to me in the sense of making music purely for my own sets, my own means, rather than trying to make productions for other DJs. So that in itself made it incredibly valid for me. You still DJ across the world, can you write on the road or do you have to be able to spend time in the studio? I’ve never really tried to make music on planes, as such. I start them, sometimes, or write small parts, but most of the time I need to close the door and focus, really. I think about music all the time, whether I’m on planes or in transit or whatever, and I try to create music in my head before I go into the studio anyway. I do see the studio as a process, I see walking into the studio as an opportunity to be creative. It’s a workshop for ideas to come to life, but much of the time those ideas need to live in my head beforehand. I try to separate it. I don’t want to feel the pressure of making music in the back of a car. It works for some of my friends, and maybe at some point it will work for me, but because of my current mode of life it doesn’t work for me right now. Do you have a permanent set up now? Where is it? Yeah. I have a studio at home. But when I work with bands I go out and do it there, because I like to also have that sense of destination. The past five years have brought huge changes to London – space is really at a premium, with a lot of younger artists being pushed out to the margins. Have you noticed that shift? I used to have a studio in Dalston. It was about 10 years ago and I remember when the opportunity first arose to have that studio space I was sharing in a corridor with lots of creatives – people starting magazines, designers, some other musicians. It was incredibly cheap to have a space there. I think that’s changed quite a lot. Dalston has gone through rapid changes. As for how that has impacted on the arts, I suppose whatever happened in Dalston a decade ago has now moved five miles further out. It’s now happening somewhere else. I do believe that the great thing about being young and determined and driven is that people always find a way. They always find a way to bring their ideas to life, they always find a way to exist no matter what the conditions are. The goalposts do keep moving, it does become harder to survive, but people can… and do. London is always changing – these areas become real hotspots, and then it moves on. And it needs to. It needs to happen that way. I can’t imagine it any other way. You touched on your work with other bands, and of course you produced the new Ride album following two decades of staunch fandom. So how did it feel to take up the reins on such a great record? It felt really good! Going into it my expectations didn’t go beyond the fact that they had some really great songs. And because they were there and in place it made my contribution to it far fewer. I was really confident that we could do something great. There are no guarantees when a band gets back together after 20 years to make a new record. Especially a band who had that incredible era back in the early 90s. I grew up through that. We used to try to cover those songs in my high school band, for me it was such an incredible thing to happen. Whilst it was happening I told nobody – no one knew it was happening, and when it was finally announced the response, especially from a lot of my friends who grew up in that era, was staggering… I couldn’t believe it. In a way, it kind of only dawned on me after… like, wow that actually happened! I don’t know if this is the same for other people, but when you’re in things all I think about is what I need to do. I don’t think about the gravity of what I’m doing – like how prestigious it is, or how important it is, or how lucky I should feel, or the pressure. For me, it’s like: right, let’s do this. Let’s get it done! And then after, when it was all being spoken about, you get some context on how big Ride actually were, and how important those albums were, and how much change they made. All those details come into it at that point. And then people started talking about the new record, and how much they like it… and it was amazing how nearly all their fans – that I can see – accepted that record. It’s hard to even compare it in any sense, because even though it’s the same people it’s like two different bands working in two different eras. It’s incomparable in that way. But the very fact that the people who feel such a sense of ownership over that band can be so accepting of it, and no dismissive at all, is a great thing. Some bands do come back after a period of time and they don’t quite get it right. I’m not going to stand here and say whether we got it right or not, because I’ve got my own feelings on it… I love it, obviously! It’s great that the feeling it left behind is so positive and that the band are in a good place. That’s fantastic for me. Ride followed the album with another EP – is that something you’d like to pursue again in the future? Again, it’s all down to the situation. For me, if they do it again what would we do? You can’t do the same thing again because – obviously – since doing that the goalposts have moved significantly. So what would the ambition on it be about? I think it’s being open to a new challenge. If and when that time comes that’s a decision I’ll have to make then. What’s the difference between producing your own work, and producing something like the Ride album? Is it two different roles, or is there a crossover? Even working with the same artist between different songs has a difference. For me as a producer my feeling is you need to have that skill to recognise what is needed, and what your input is at that given moment. And it changes from song to song to me. Sometimes you hear something and it’s fully-formed, and it’s great in its own right. It’s about convincing the artist that it’s all there already, rather than them feeling that something more has to happen with it. And it works the other way – sometimes you need to convince them to look again. That approach changes inside of every project, and every project is wildly different. On my side, I’m just working remotely away from the artist, bringing additional production to it as well as mixing. I’m just constantly trying to make the record that I feel like I love, and the artists love as well. If we fully capture both those bases then I think it’s a success. With regards to working for myself, it’s just me. And I’m probably far harder on myself than I should be, as to what I should and shouldn’t release, or how good something is. I don’t have that person to bounce an idea off, so it’s just me. It’s harder but then when I get something that I feel is right it’s possibly more rewarding. It’s difficult! 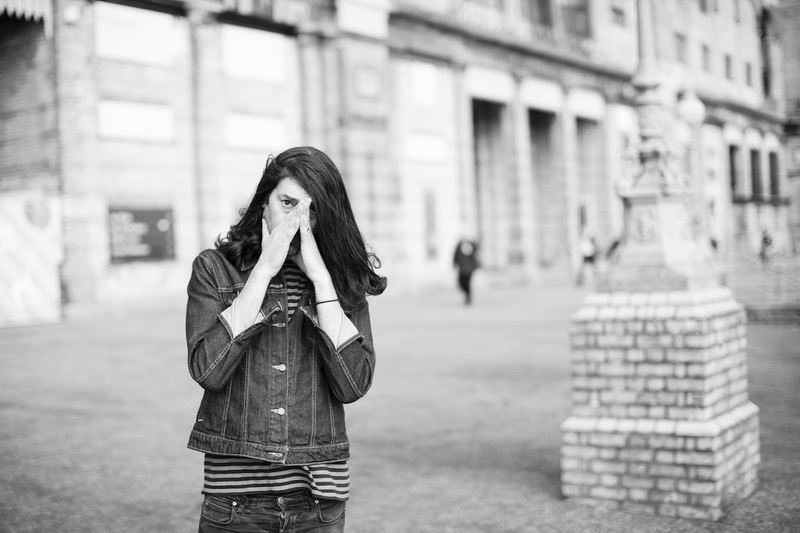 In a way working with bands and other artists is a kind of respite from working with myself. I felt that way when I first started doing it, because I was tired of being on my own all the time. That’s why I started working with other bands because I wanted to have that creative space with other people in the room, and then I got addicted to it. It shuffles in between – sometimes I want to be on my own, sometimes I want to be with other people. The new 12 inch is out now, so what comes next? Will you be releasing more material in 2019? Yes! There’s a lot of stuff I’m working on, but that’s how it always is – I’m always making music. I just don’t know what something is going to come out as, as such. Some of the stuff on the Beyond The Wizard’s Sleeve album was going to come out under my own name, but it felt like it fitted better on that record. I have a lot of music and sometimes something that comes out was actually written six years ago. Or it could have been written six weeks ago. I really don’t have any kind of rule as to what comes out when, I just put out what feels right at that moment. What are you building towards? Will it be an album, do you think? At the moment it’s 12s. I’m thinking about 12 inches. I don’t want to put that pressure on myself. The concept of albums is something that I’m very well versed in, I make them with bands and artists, but I don’t feel I need to put that pressure on myself at this point. The purpose of putting music out relating to my DJ sets means that the 12 inch is the perfect medium for that. So that’s what it is at this point. How many of those releases there will be I can’t say at this point, but there’s a few more in there. You can tell the same story in a different way across, say, four different 12 inches. Exactly. And the way we release music now means that it’s all wide open. Again, if I was to make an album it might not be electronic. The last album I made was the Beyond The Wizard’s Sleeve album and that wasn’t electronic at all, but that’s how comfortable I felt with the album at that time. We’ll see. At this point it’s all about the 12 inch… but that can change! Like all things. 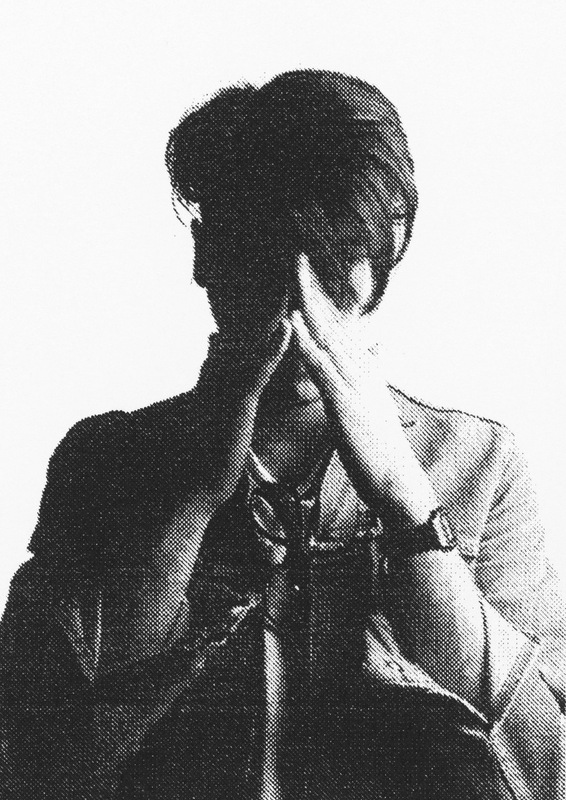 For tickets to the latest Erol Alkan shows click HERE.